As a frequent flyer, you know that there’s no room for error when it’s time to get on a plane – you operate like a finely-tuned machine. Between your expertly-packed carry-on bag, a piece of indestructible luggage to withstand an infinite number of tosses and tumbles, and your passport tucked safely inside its own little holder, you are a force to be reckoned with. However, when it comes to parking your car at the airport, the sheer cost of your frequent comings and goings can pile up fast. But don’t let that slow you down! You don’t have to wince each time you visit the pay station: here are a few simple ways for jet-setters to save on airport parking and get on with their adventure. Everyone knows that buying in bulk is the way to go! Check and see if your airport offers discounted monthly rates for any of the lots or garages on the premises. If you pop in and out of town every few weeks, a monthly pass could be your best bet for a little extra cash in your pocket. Airport hotels know the drill, and they’ve got the amenities to prove it. Free WiFi, free continental breakfast, and of course, in some cases, free or discounted parking. If you’re not loving your airport parking options, check out the situation at a couple of hotels in the surrounding area: for example, some hotels will offer their guests multiple days of free parking with a one-night stay. So, by paying for one night at the hotel (even if you don’t actually stay there), you may indeed come out on top depending on how many days of parking they can offer you! Plus, if you do decide to stay over and save yourself some time before an early flight, many of these hotels offer a free shuttle straight to the airport. We know, we know, nobody likes parking in the furthest lot from the terminals. But on a long enough timeline, selecting the most budget-friendly airport garage could spell big savings. Plus, these lots nearly always offer a shuttle to the terminals – so for the low, low cost of a few short minutes of your time, does the faraway parking area really seem so bad? You can trust the world wide web when it’s time to sniff out a bargain on, well, pretty much anything. 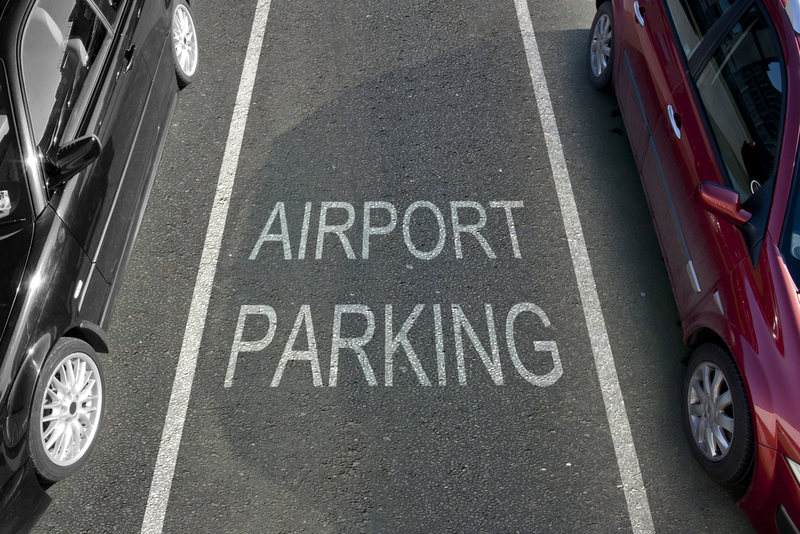 If you’re looking to slash your expenditure on airport parking, head to OneStopParking.com for the absolute lowest rates available at tons of airports across the U.S. and Canada. Once you find your perfect price, you can even book and pay for your spot online. Does it get any simpler than that?! There is no greater luxury than stepping out of an airplane and knowing that your car is waiting for your nearby. But if the cost of parking is simply becoming too much, there are options available: taxis, Ubers, and public transportation are all viable alternatives that will get you where you need to be without having to worry about where to park.